Calculated Risk, a blog that carefully tracks construction employment and other economic trends, predicts a significant uptick in construction hiring in 2014. 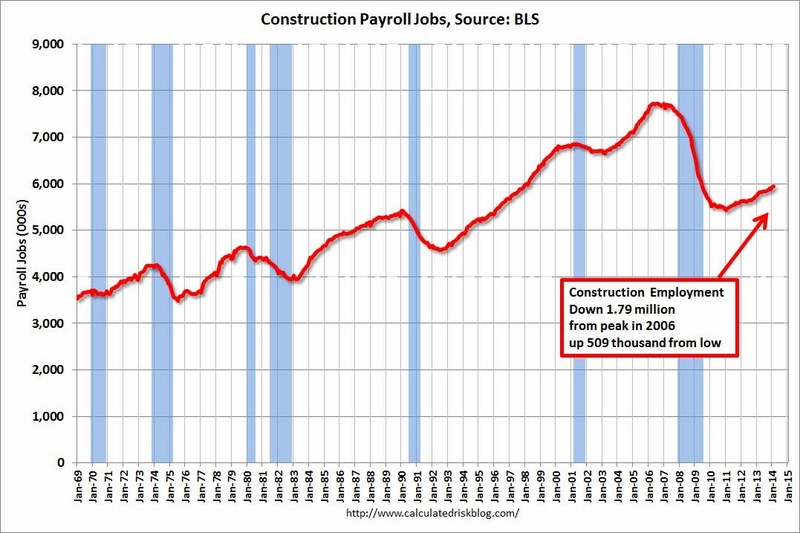 Click here to view an interesting chart that shows historical trends in construction employment. Click here to view the Calculated Risk blog.